The REM Awards are presented in a grand ceremony, usually held at the Waterville Opera House. Often 200 or more people attend. Historically, the ceremony was held in the fall, but in recent years, the timing has become more flexible. Due to scheduling complications, the 2010 awards were not presented until January 2011, and then long overdue renovations at the Opera House delayed the next ceremony until June of the following year. Since then, the ceremony has taken place in the spring. The ceremony typically lasts around 90 minutes and features performances by local musicians, actors, and dancers. In recent years, it has included a PowerPoint slide show with a section on each honoree and the organization for which he or she volunteers. The ceremony also serves as a launch party for that year's edition of the REM Partners Community Directory. The REM Partners are a loose coalition of more than fifty schools, hospitals, churches, and other Central Maine non-profit organizations convened by REM to "work together to identify community problems and develop programs to address them." Each year, REM produces a directory bearing a half-page description of and contact information for each of the REM Partners. 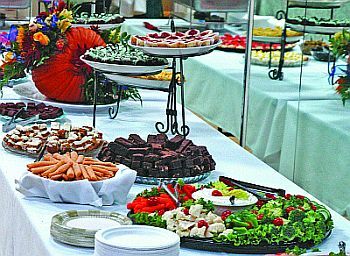 The reception after the awards ceremony features treats both salty and sweet prepared by the volunteer chefs of REM's own Dreamers' Creative Catering. The ceremony concludes with the actual presentation of the awards, as each honoree, accompanied by one or two escorts from the honoring organization, ascends to the stage. The honorees and their escorts then parade out of the auditorium for a reception.